When most people think of glass blowing, crystal images of carved items and cute animals may come to mind, or the glass blowing demonstrations at Disney's Magic Kingdom. Few realize that the first glass blowing business in America began as early at 1608 in the Jamestown Colony. While the first glass blowing attempt did not last, there is written evidence that it did survive as late as 1610, and therefore, may have been successful in the first couple of years. 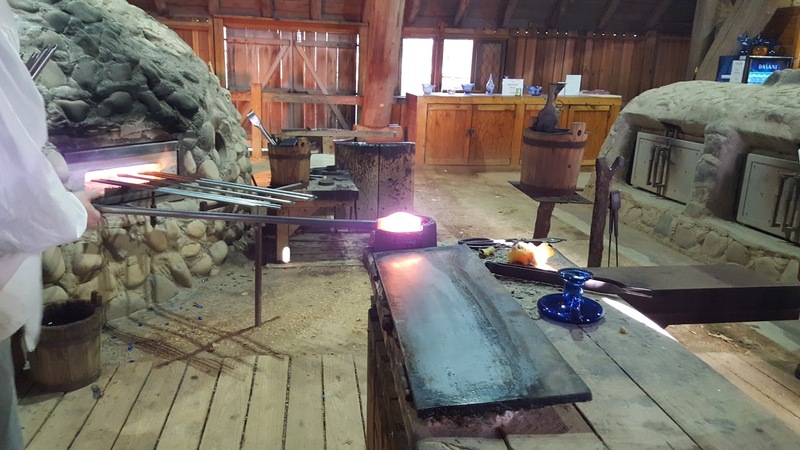 In 1948, the glass furnaces were rediscovered and excavated near the Jamestown settlement. The site now serves as a glass blowing museum where visitors can view the remains of the furnaces from the early 1600's and observe the living reenactment of how it would have been in 1608. 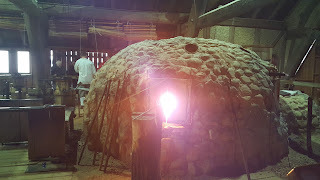 The current furnaces are built and used exactly in period-style fashion. One significant difference is that back then the furnaces were heated by wood and the replicas are heated by natural gas. 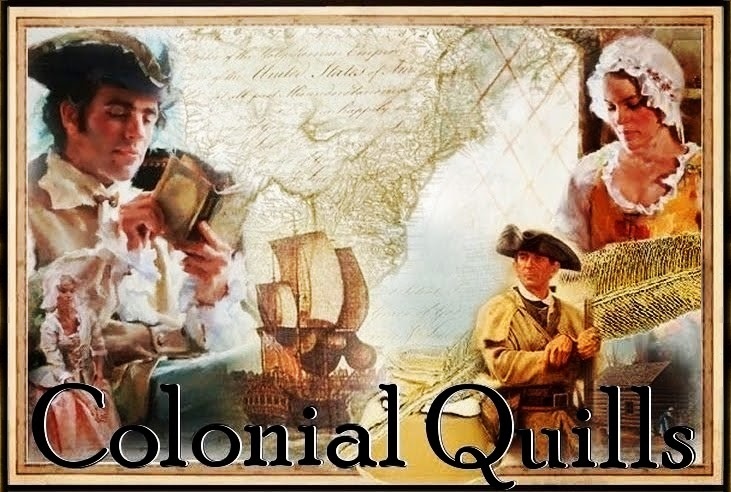 Today's artisans wear colonial clothing and serve as apprentices for a number of years, learning and perfecting the trade. You can visit and watch them in action and ask as many (or more) questions as I did. We visited right before Christmas and wanted some red colored candlesticks for the holiday decor that we could take home with us. The artisans explained that their owners only allow them to reproduce the exact colors that would have been available back then. If you love to see history in action, it's hard to find a place more authentic than this. For each piece that they make, it is placed in the store where it is made and sold to visitors who come through to visit and observe them in action. While some of the pieces are similar, there are no two pieces exactly alike. You will find candleholders, wine bottles, glasses, vases, paperweights, pitchers and other period pieces you can purchase and take home as a souvenir. One thing you will need to remember and warn everyone in your household is that these items are not made for modern-day use. They cannot be placed in the dishwasher or microwave, nor can you pour hot liquids in them. These items may break and shatter in pieces. If you cannot go and experience this authentic place in person, you can visit their online store and order their unique items through their website. 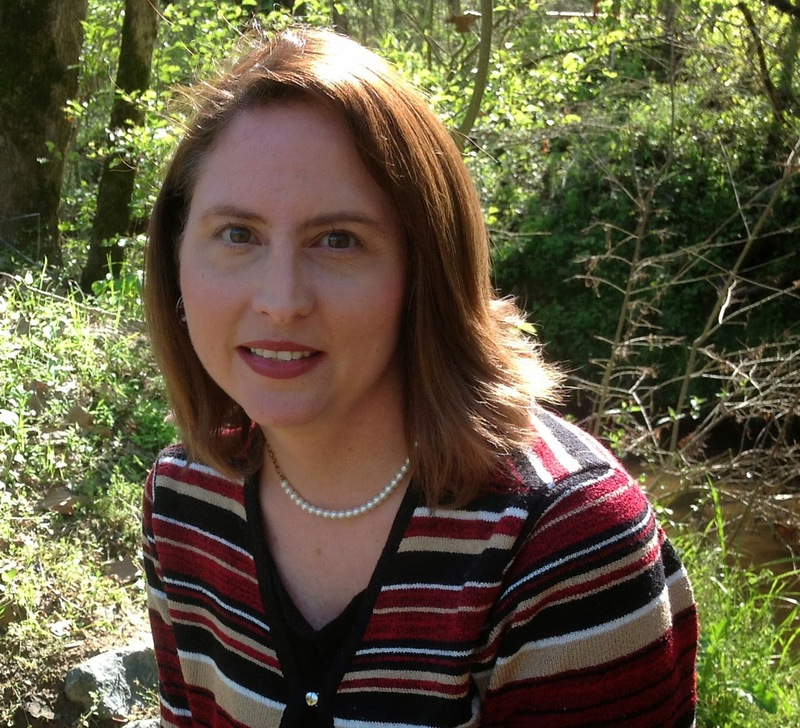 Jennifer Hudson Taylor is an award-winning author of inspirational fiction set in historical Europe & the Carolinas. Her debut novel, Highland Blessings, won the Holt Medallion Award for Best First Book, followed by Highland Sanctuary. 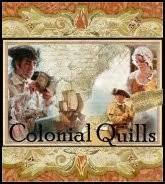 Jennifer has six published novels and several novellas. Her work has been reviewed in USA Today, Publisher's Weekly and the Library Journal. She provides keynotes speeches and workshops on the publishing industry, the craft of writing, & digital marketing. Very interesting! I wonder if they had trouble keeping the temperature high enough with wood, and I bet the demand for adding logs was constant! Denise, That's a great question. I wish I would have thought about asking it while I was there. Great post, Jennifer! I am going to take Darren there, he would love it. I took an ornament to Amber that was glass blown, she loved it! I love glass blown ornaments and I have a few. They had some there. Great post Jennifer! Glass blowing is fascinating to watch. Of course, I've only seen it on tv, would like to see it in person one day. Mrs Tina, You should go to a demonstration some time.i think you would like it. It is a fascinating place to visit. I didn't know you live near there. I have seen glassblowing in person. It is amazing! The skill required to make something usable and pretty is astounding. I saw a man make a pitcher. The way shaped the pitcher and then added the handle, it's not something I will ever forget. I'm amazed at how it's a hot liquid one moment, and a solid shape in the next. what's amazing to me is that it is really a craft that has largely never changed. 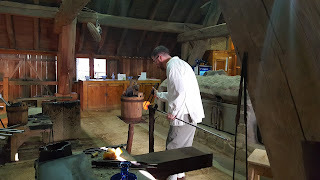 It's a process that remains the same so it's incredible to watch skilled glassblowers at work! Thanks for sharing, Jennifer! Debra, That is so true. The craft hasn't changed much. My husband and I visited there in 1970 when he was stationed at Portsmouth for a few months. I was surprised at how small a living museum it was back then. But it was fascinating to visit! I would love to take a trip to see that and Williamsburg again. Thanks for the post! Paula, it has changed so much since then. In fact, I was amazed at all the new excavations and new information they had uncovered since I was last there in 2009. This is not far from where Janet and I live in Hampton Roads, Jennifer! I've loved visiting there -- it's really fun to watch them at work. Carrie, I thought you live closer to Yorktown. I love the area and I thought about you while I was there.